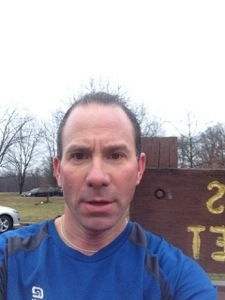 You are here: Home » 23 Miles in the Cold Rain on the Hills of Tyler State Park Never Felt So Good! 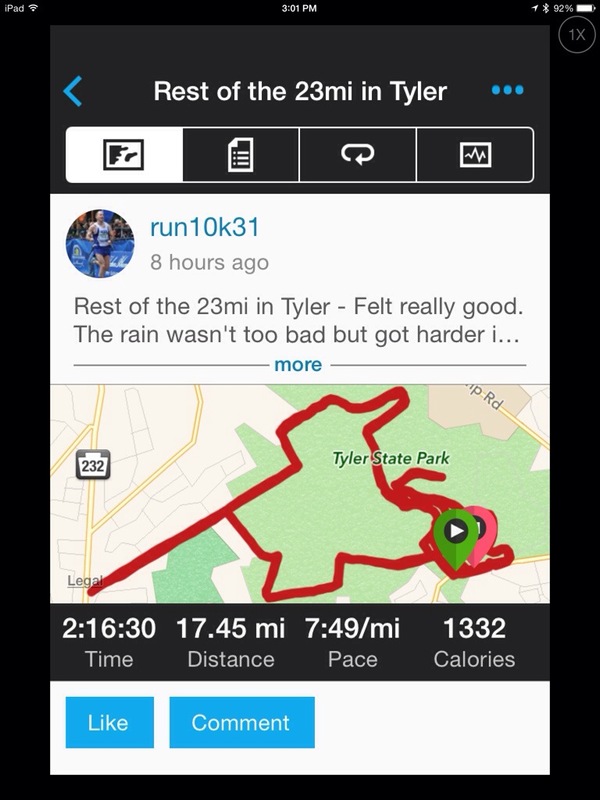 23 Miles in the Cold Rain on the Hills of Tyler State Park Never Felt So Good! OK, so here I am writing this post again. Somehow all the text vanished and I was left with just the photos on this post. I will do my best to recreate my post from this morning. Today’s run starting at 6:00am when it was still dark. It was cold, rainy and windy. 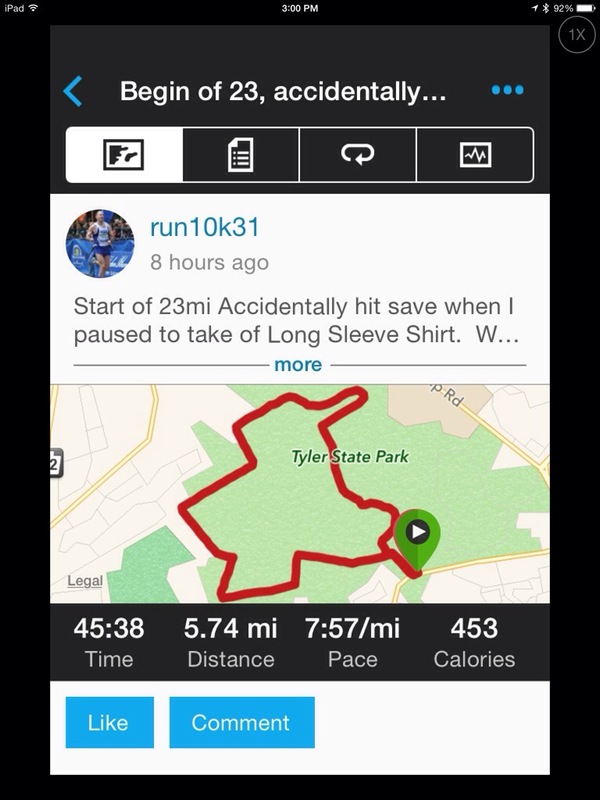 I messed up my GPS about 5.5 miles into the run when I was trying to take off my outer layer (a long sleeve tech shirt) while not stopping… So with all that why was today a good run??? Well as I said it started at 6:00am when I met Pete L., Joe H., and Tom B. in the Fisherman’s lot at Tyler State Park. It was still dark so we put on the headlamps and I kept on a long sleeve tech over a short sleeve tech and kept on compression tights. It wasn’t raining hard but it was cold and windy with it. We started off up Agony Hill so the opening mile started slow but we built into in. We basically ran the BCRR 5.3 loop but could not cross the dam as it was completely flooded over and the water was rushing over it at that point so crossing was not an option. We went back to where we parked where Pete, Joe and Tom stopped to drop some layers. I tried to do this without stopping except to throw the extra shirt and the headlamp into my car. While taking off the LS shirt I stopped the watch and accidently hit the save button. I quickly restarted the GPS but it started at zero so I was going to have to add the mileage we had already ran to what my watch was showing. Only a GEEK like me would care about this but…. Anyway, at that point I asked Tom what his GPS said and we ran back to the dam after crossing the Neshaminy Creek on the 332 bridge. At the dam, and about 8 miles in, we picked up Steve P. For there we ran back to where the cars were and started an extended back loop which brought us back to the cars once again at 17 miles. The rain was picking up but the legs felt good. This run was designed for me to take in carbs so I had a pack with me that had Power Gels and I was carrying a water bottle. I took the gels at about mile 12 and then again at 17. At 17 Pete, Joe, and Tom dropped off and Steve continued to run but he backed off the pace so I ran most of the last 6 miles solo. I dod one more 5.3 loop with the extra to the parking lot giving me the full 6 that was needed. At around 20.5 I took the last few gels and the stomach seemed to tolerate it well. The last 5 miles the pace seemed topic up and I actually felt the best I did the entire run which I think is a great sign. I guess the training plan from Dr. Karp is working!! The only negative the last two weeks or so is my left knee if bugging me a bit but after some PT from Dr. Johnny Marino yesterday it is feeling better. I have ben icing down after my runs which seems to be helping. 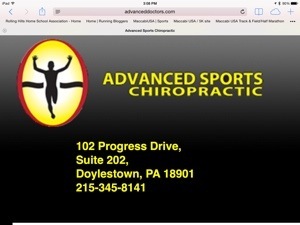 I will get more treatment Tuesday with Dr. Johnny as well. So while the weather and hills were challenging this run seemed to fly by and now I have two 23 milers in the books for the cycle. Also, a 20, 21 and 22 miler gives five runs at 20 or over which should give me strength at Boston. So now 3 weeks to go. 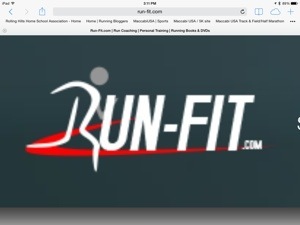 I have some hard running left for sure but the volume will begin to decrease which should freshen up the legs. I just need to stay focused for the final push! I am really longing forward to what the next few weeks will bring! ← Less than a Month Until BOSTON!! !